Launching a new website is a very interesting and exciting experience, especially if it is your first time. The more websites your launch, the more you learn, and the better you get at it. In order to launch your site properly, you need to have a launch plan. Some folks prefer getting their new site online and go at it from the first day. Others prefer to hype up their upcoming site and set up a pre-launch page for it. Ultimate Coming Soon Page Plugin can help you in that situation. It creates a teaser page for your website and gives your visitors the chance to subscribe to your updates by e-mail. Ultimate Coming Soon Page Plugin saves you from the trouble of having to deal with “coming soon” themes. You can just install and enable it when you need it. 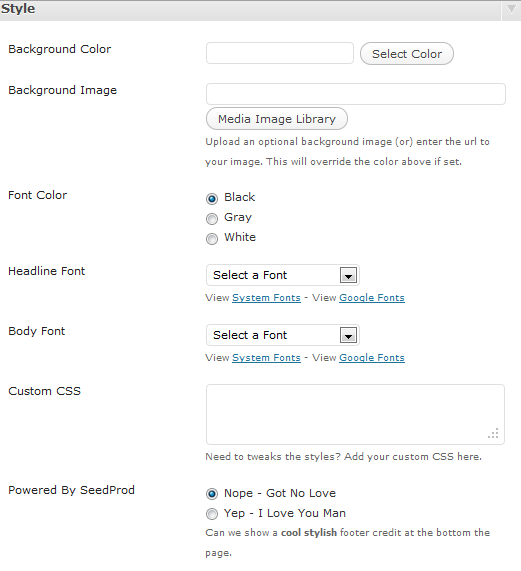 Changing your headline, logo, and RSS URL can be done on the settings page. Those of you who know your CSS can always change the look and feel of your website quickly. But a lot of these changes can get done from this plugin’s backend. Remember, you need to log out of your site to see the changes you have made (just in case you are wondering why your changes are not taking place). You can also use the preview button for the same purpose. 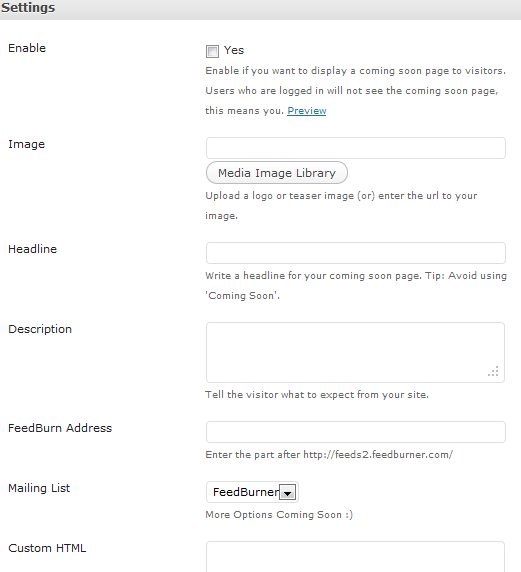 Overall, Ultimate Coming Soon Page Plugin is pretty easy to use and does what it promises well.